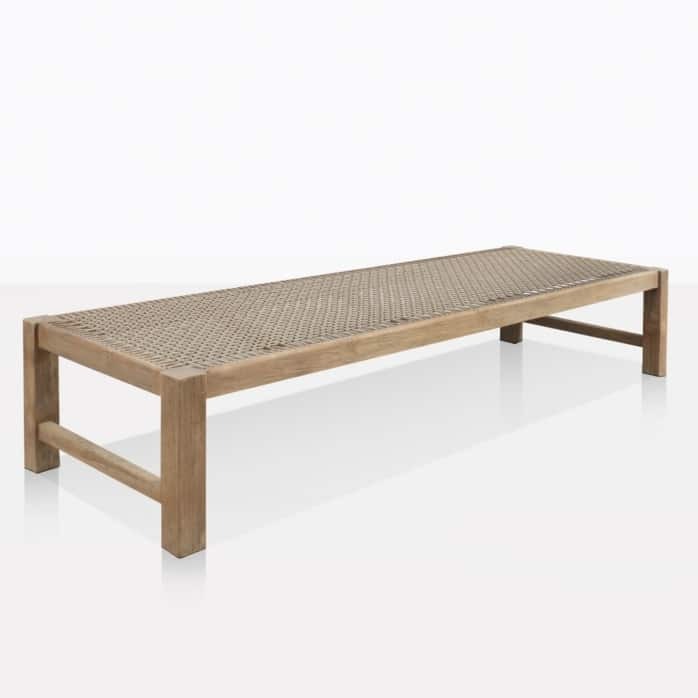 Tremendous, modern, and full of character, set your sights on the stunning Gazzoni Teak and Rope Outdoor Bench. The Gazzoni Bench is superior in style and quality, it is the perfect piece to turn your space into one of high end design and comfort. 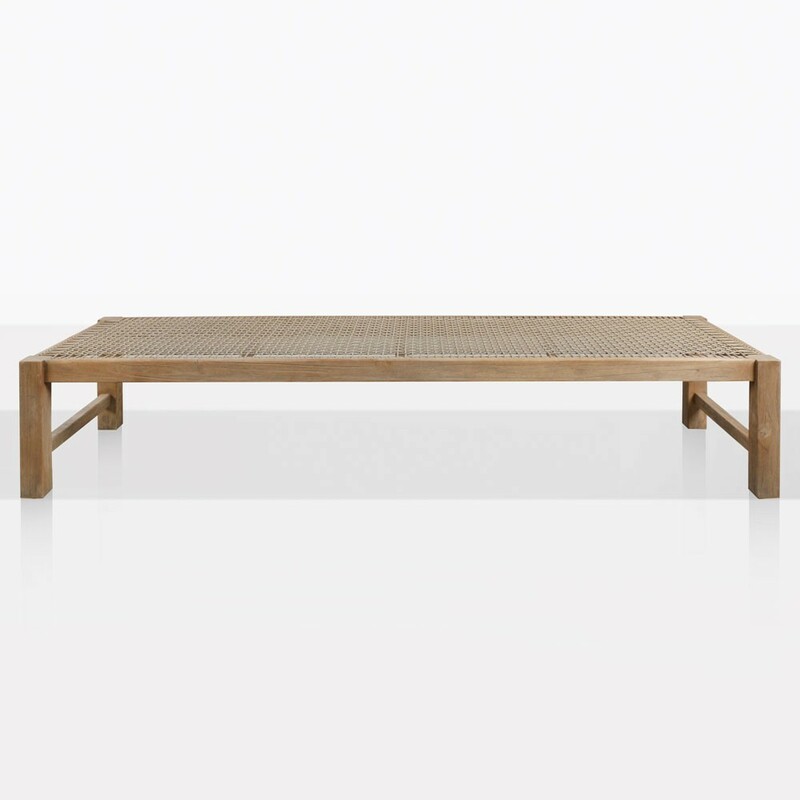 The perfect piece to place in your garden, as a relaxing bench to see in the afternoon sun, or even as a daybed to relax with. Showcasing a graceful aged teak frame and fitted with stunning moss green rope, the Gazzoni is an example of traditional needs being met with urban fashion and contemporary opulence. Perhaps you have a lush garden, complete with roses, lavender and other scented delights. Freshen the look and create a more contemporary flavour by placing a couple of the Gazzoni Teak and Rope Benches around your flower garden, and prepare yourself to smell the roses. This fabulous Gazzoni Bench looks incredible in a stately concrete courtyard on on an apartment balcony. Whatever you choose, this is a superb, modern bench that will assist in your outdoor luxurious experience. Alongside this gorgeous bench, the Gazzoni Collection features a chic side table, ottoman, the Gazzoni Centre and Corner pieces, making it a sectional collection you can make into a superb shape that suits your space, style and sensibilities. Constructed from exceptional materials such as characterful aged teak and UV treated, through dyed outdoor rope, this Gazzoni Outdoor Bench will keep you in the comfort and quality you deserve. At Design Warehouse, we are proud of our vast, ample and luxurious range of outdoor furniture. We have all aspects covered to provide you with options to suit your style, and the style of your space. 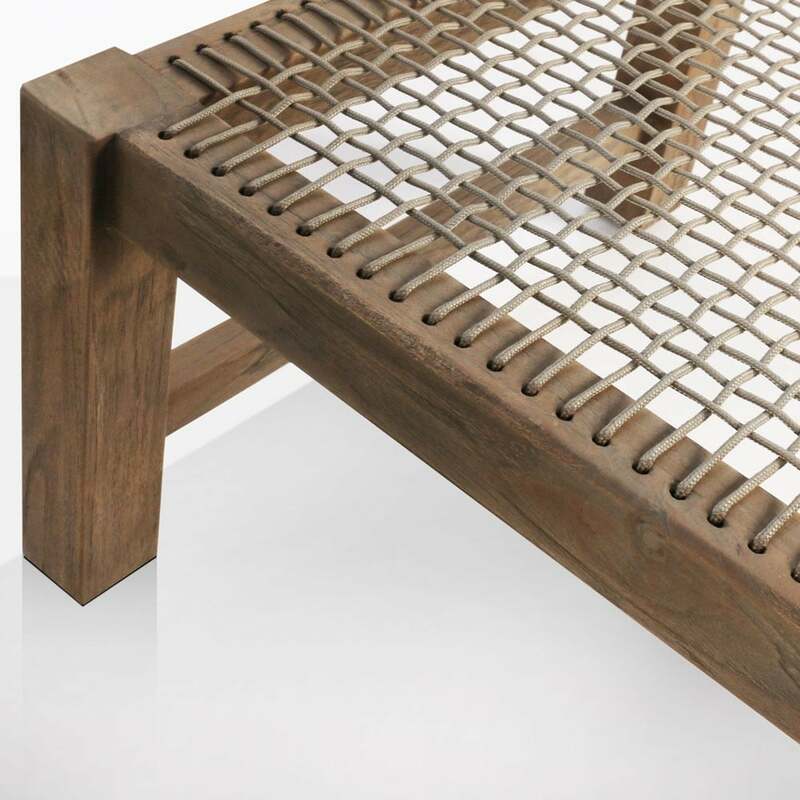 Begin to incorporate tremendous luxury in your home, and order your Gazzoni Teak and Rope Outdoor Bench today!